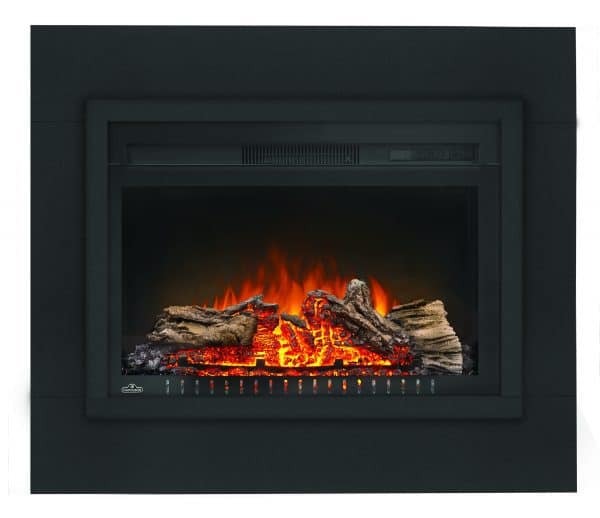 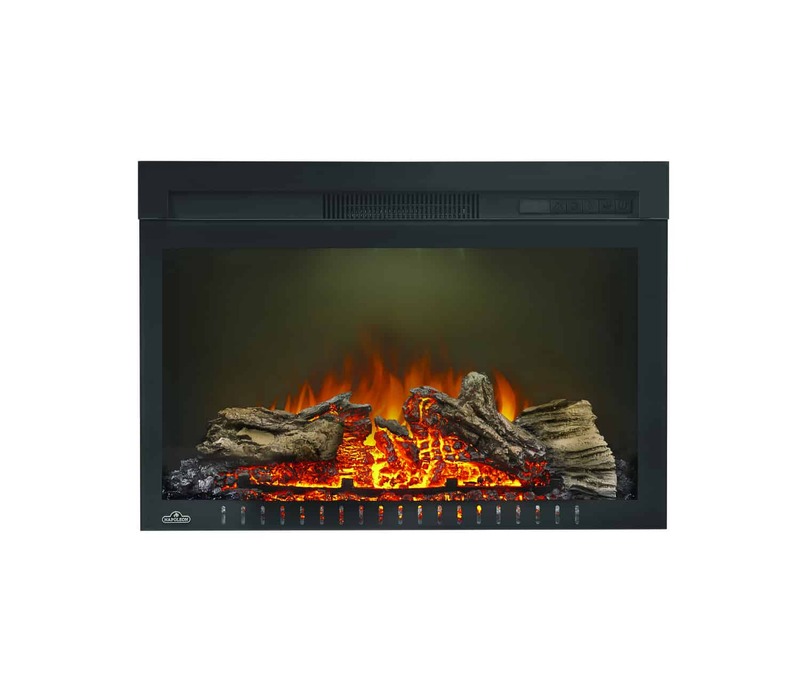 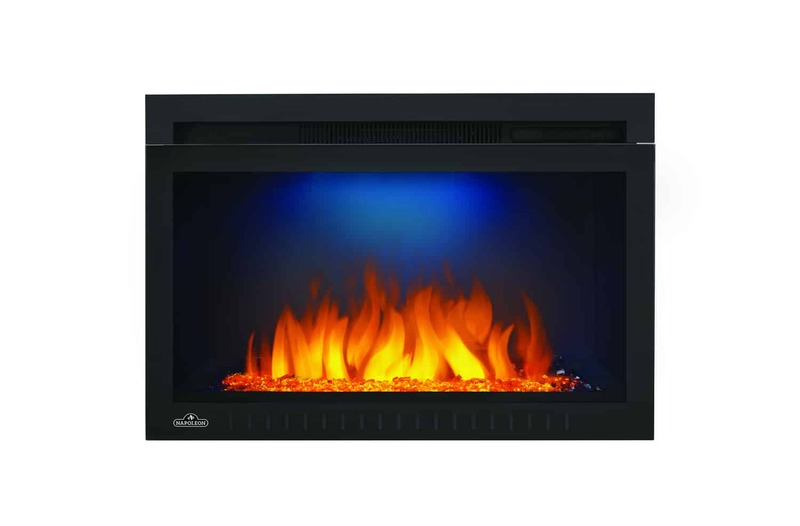 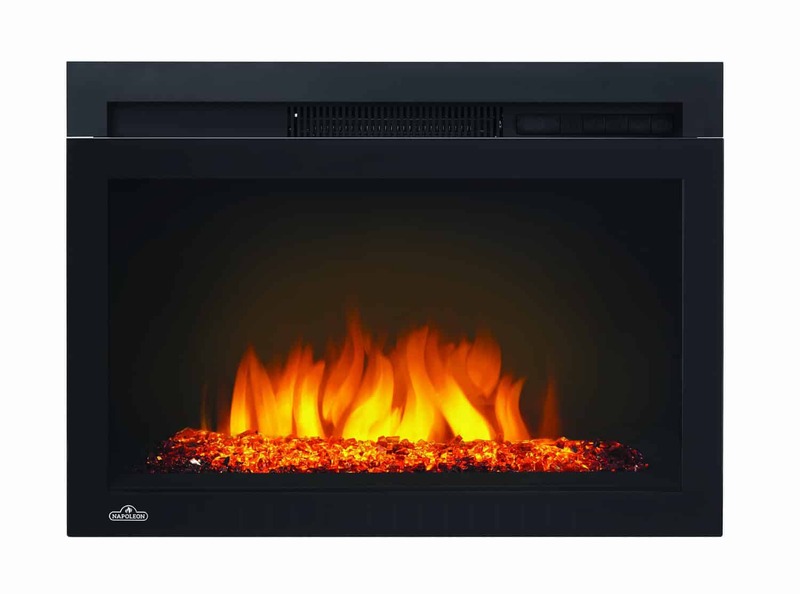 Make your living space inviting with the warm glow from the Napoleon Cinema Built-in Electric Fireplace. 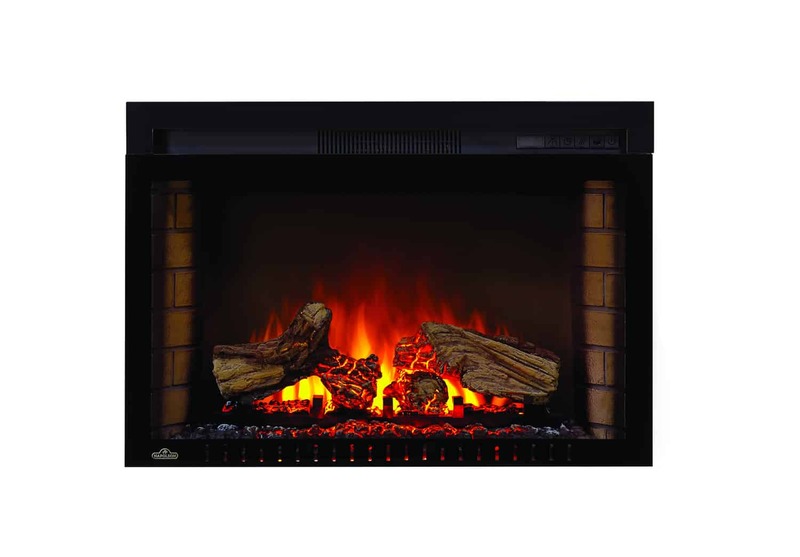 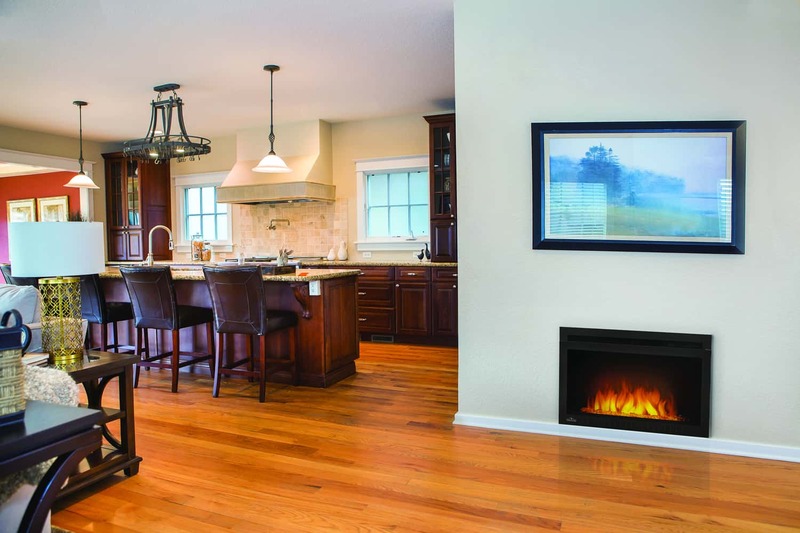 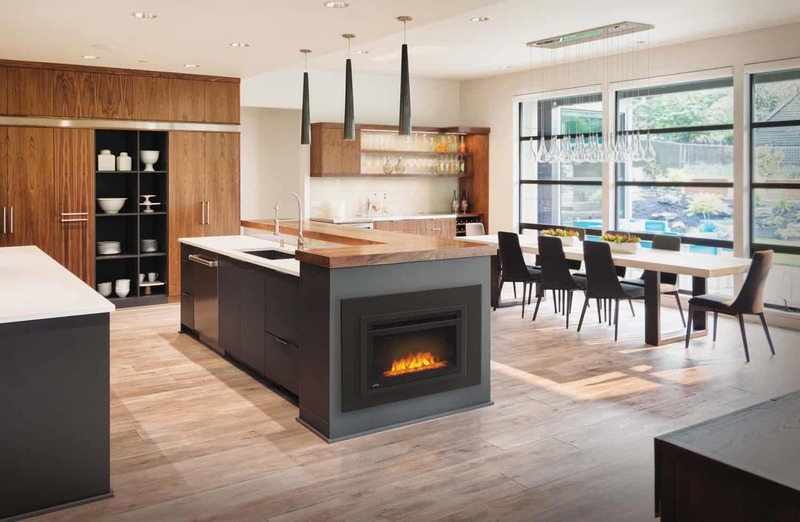 This fireplace doesn’t need venting and will fill your room with 5,000 BTU’s of warmth. 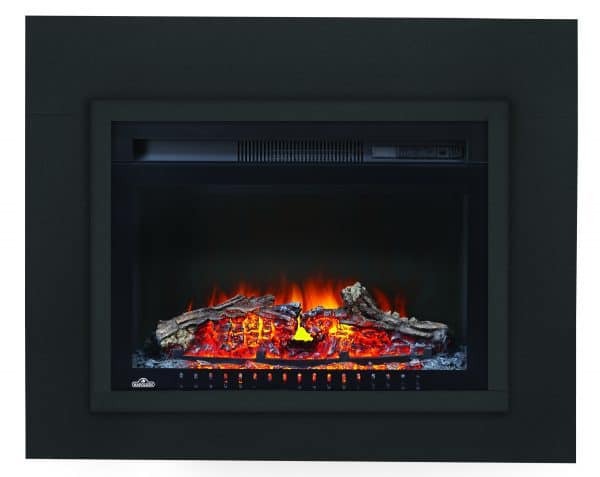 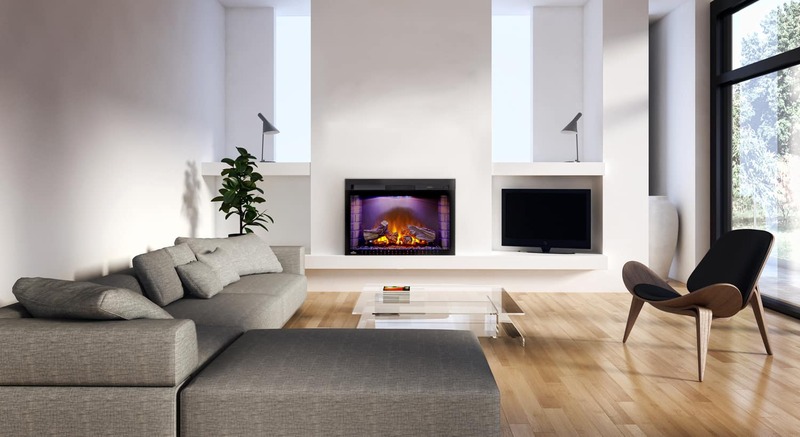 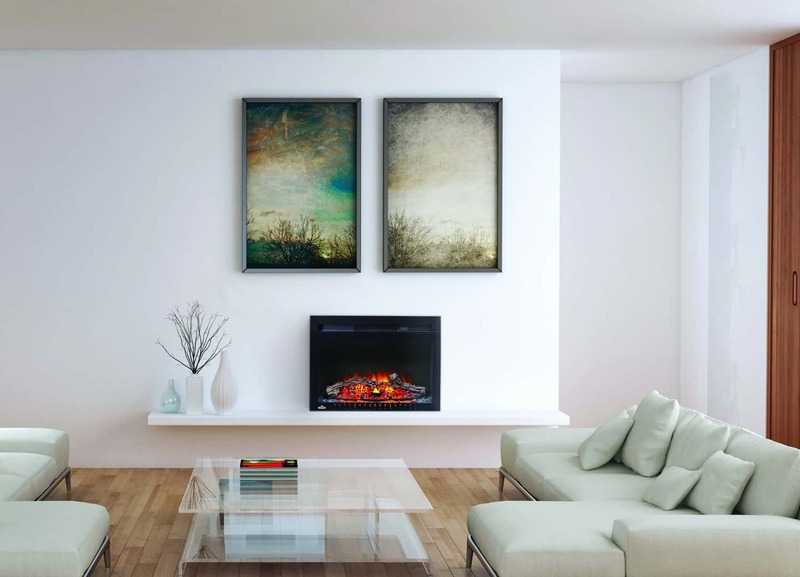 For a modern feel, inset your Electric Fireplace into the wall. 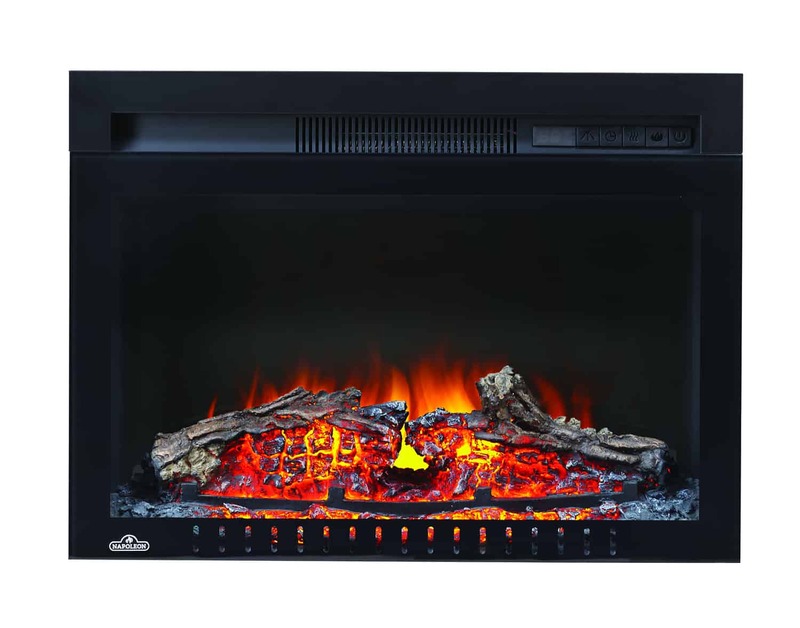 The realistic log bed or topaz glass ember bed glows just like a real fire, and when you turn the fireplace off, fades just like a dying fire. 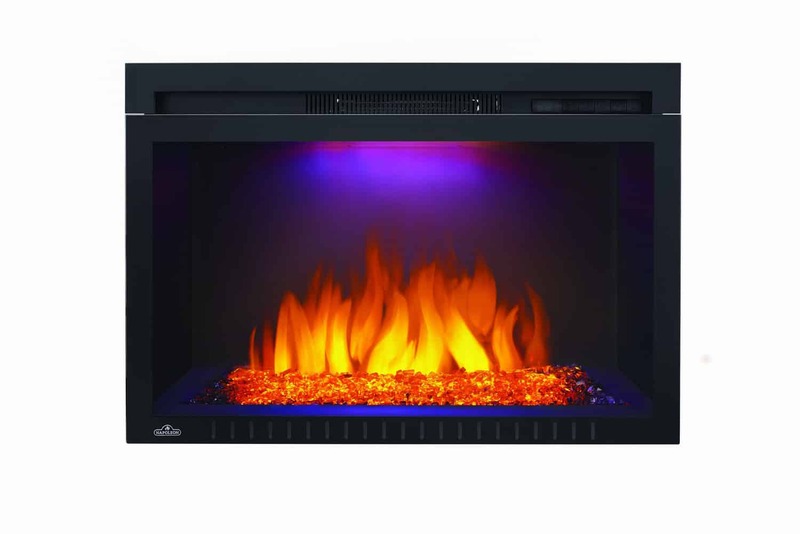 Adjustable flame brightness and heat intensity let you control the mood. 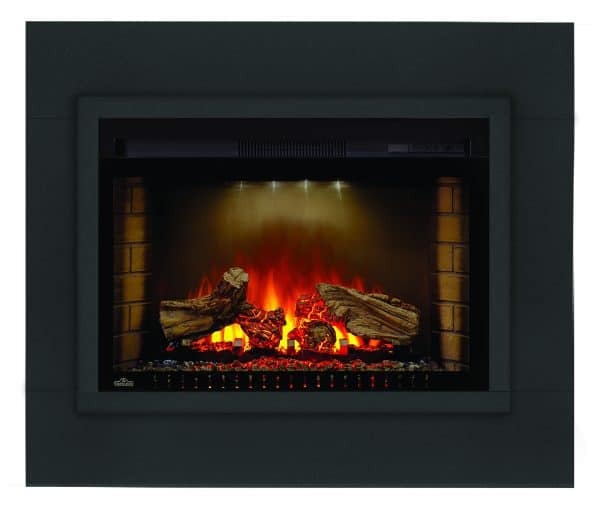 Perfect your space with a Cinema™ Built-In Electric Fireplace. 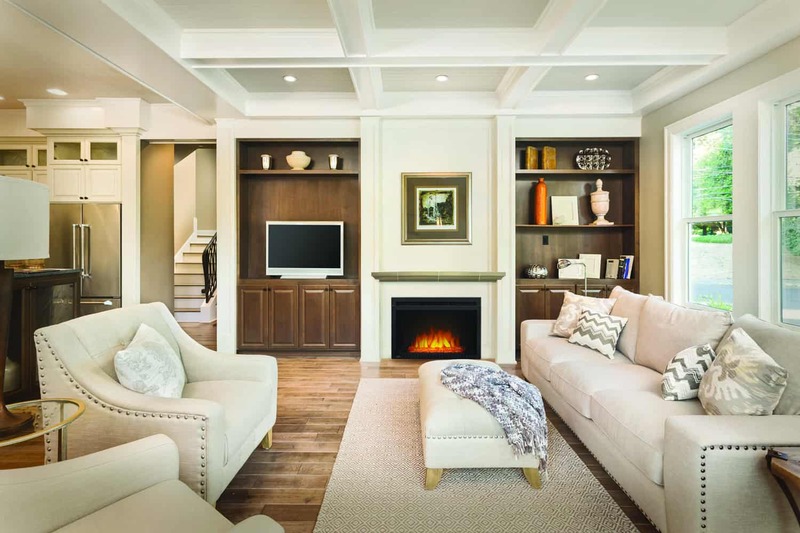 Perfect for a built-in installation or can also be ordered with the Essential™ mantel package option for a functional and beautiful piece of decor.